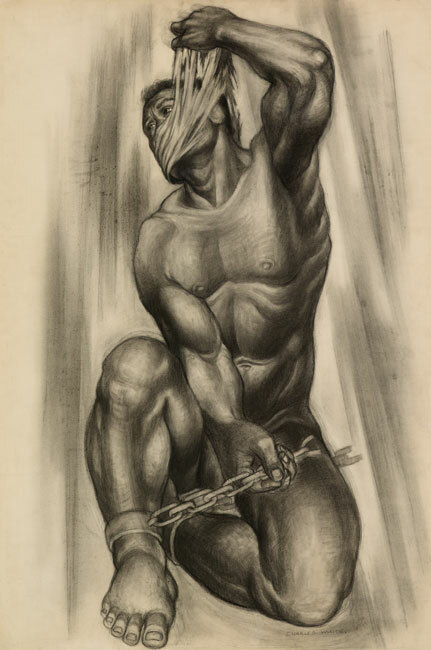 A powerful charcoal drawing by Charles White, Caliban, 1950, is one of the top lots in the sale. 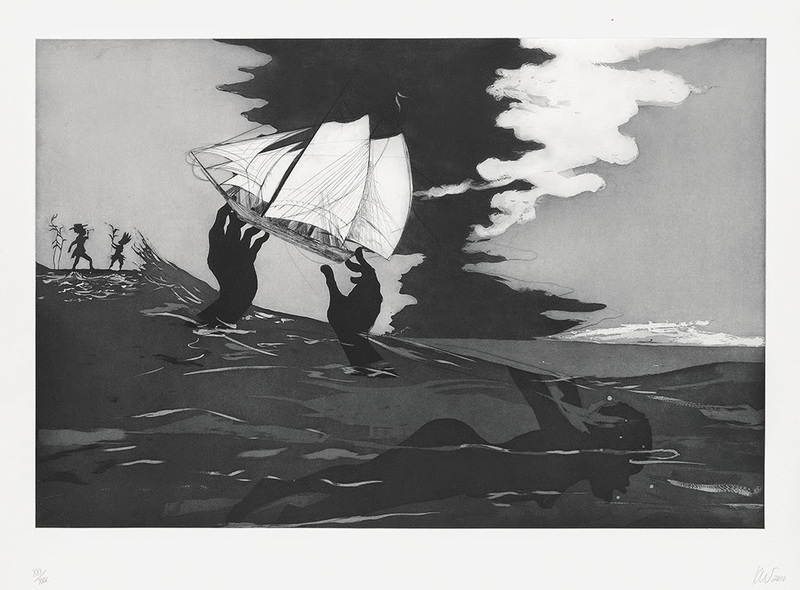 Never exhibited publicly, this rediscovered work is a striking depiction of the important character in Shakespeare’s The Tempest as a muscular, enchained figure. 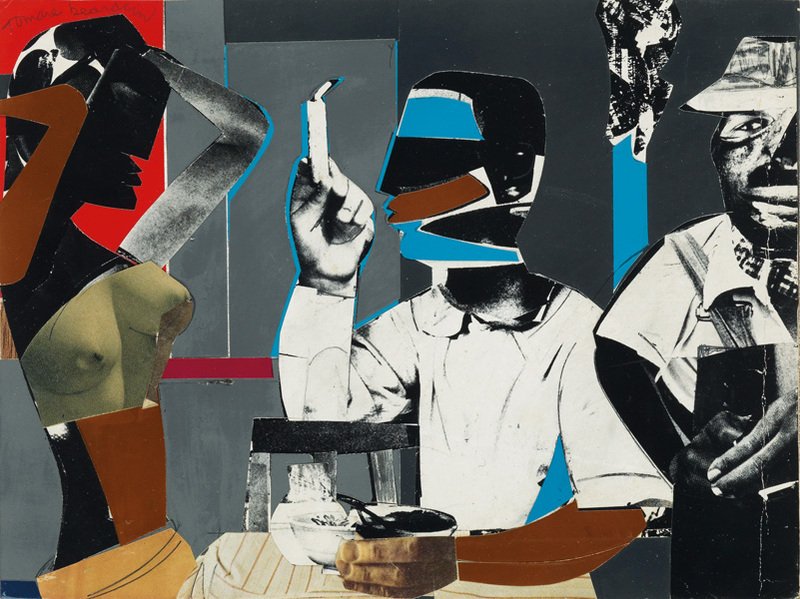 Romare Bearden’s important work in collage and photomontage is epitomized by Early Morning, 1968-69. 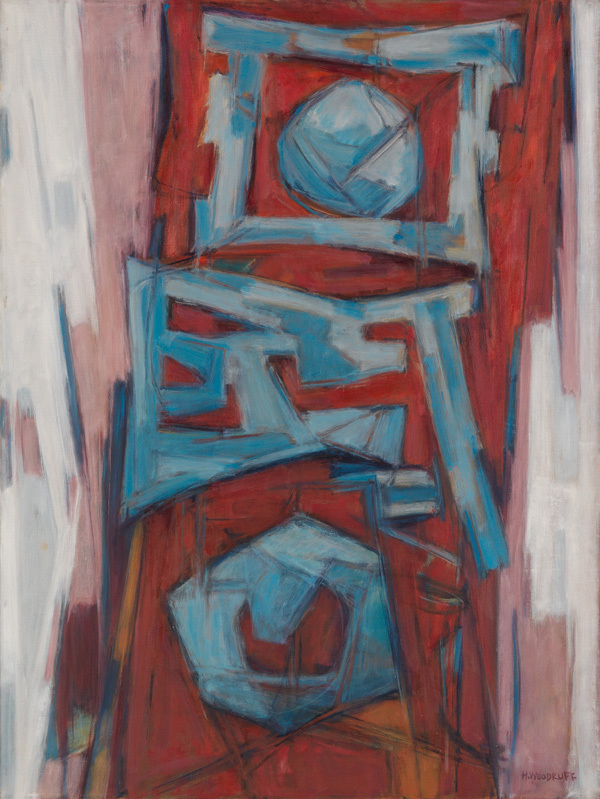 Postwar abstraction includes Hale Woodruff ’s striking Celestial Door, oil on canvas, circa 1967. The work is an example of his Celestial Gate series, in which the artist created abstract shapes based on the forms of Ashanti gold weights and Dogon dwelling doors from Mali. 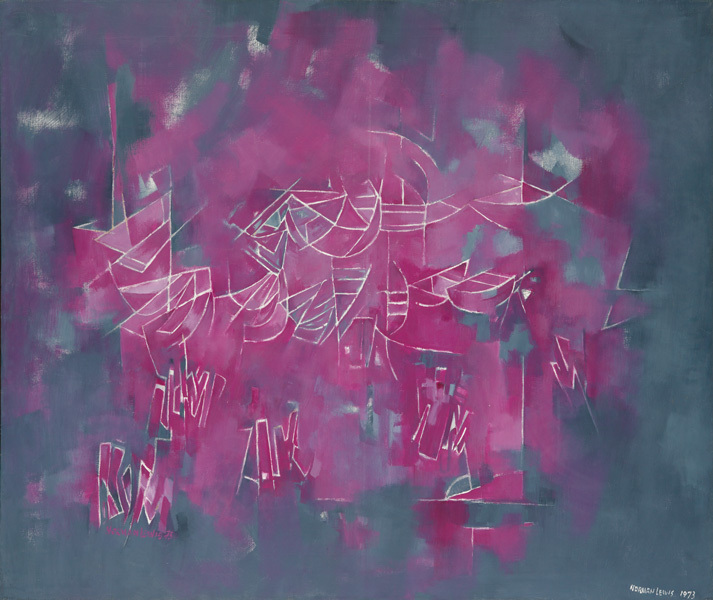 Norman Lewis’s Block Island, oil on canvas, 1973-75, is an impressive magenta and gray example of the artist’s 1970s period. Contemporary art is well-represented by dynamic women who have pushed the boundaries of their media: Simone Leigh’s provocative, untitled earthenware vessel from her 2005 series; Howardena Pindell’s Untitled #1, 1980-81, one of the artist’s signature collages of cut, pasted and painted punched paper with thread and nails; and Faith Ringgold’s story quilt Sleeping: Lover’s Quilt #2, 1986, one of her unique narrative works telling an intimate and unexpected story. 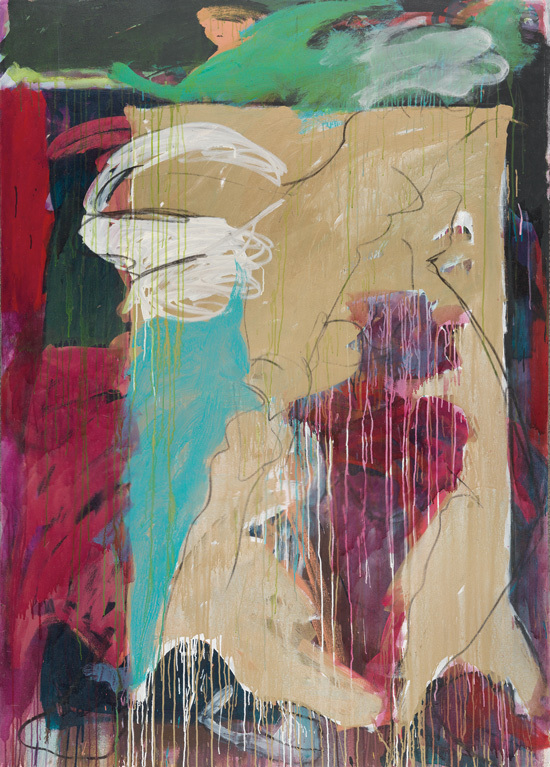 Lot 164: Mary Lovelace O’Neal, Running Freed More Slaves Than Lincoln Ever Did, oil and mixed media on canvas, 1995. Estimate $40,000 to $60,000. 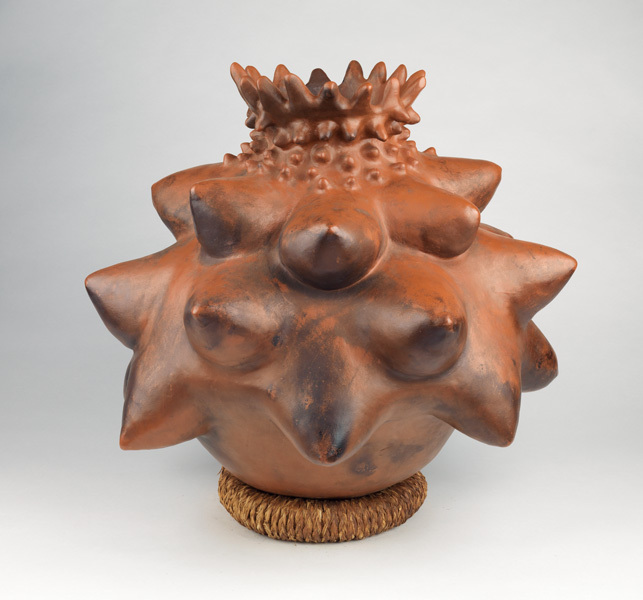 Lot 171: Simone Leigh, Untitled (Brown Vessel), glazed stoneware, 2006. Estimate $40,000 to $60,000. 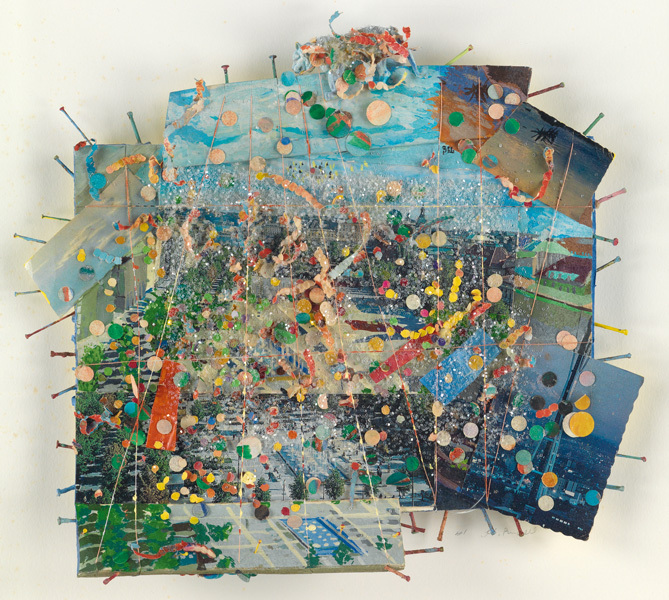 Lot 118: Howardena Pindell, Untitled #1, mixed media and collage on board, 1980–81. Estimate $20,000 to $30,000. 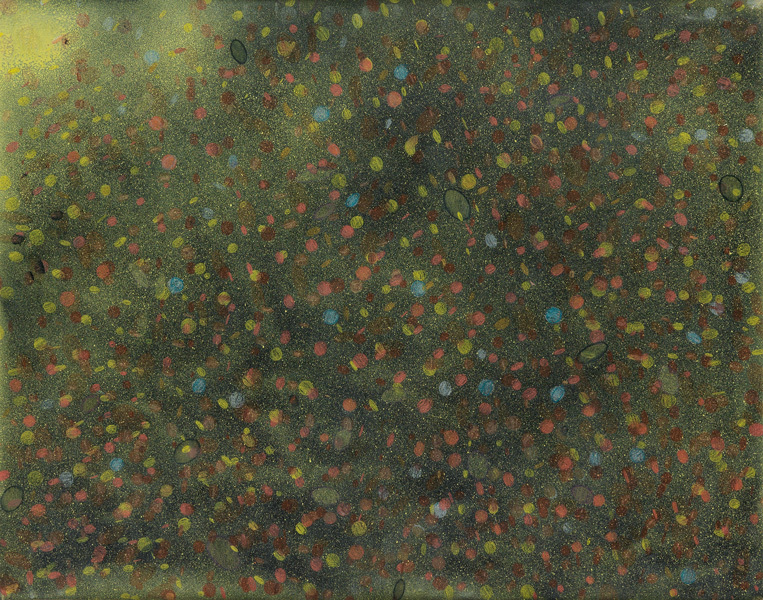 Lot 92: Howardena Pindell, Untitled, pencil, acrylic & colored pencils on graph paper, 1970. Estimate $20,000 to $30,000. 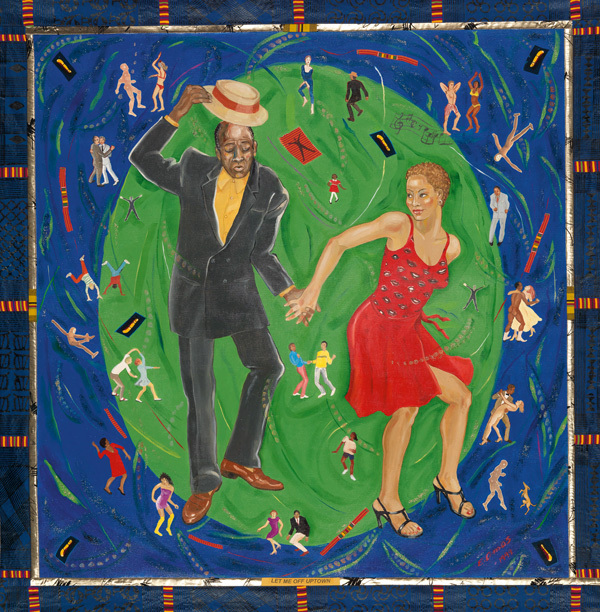 Lot 163: Emma Amos, Let Me Off Uptown, oil and photo transfer on linen with African fabric borders, 2000. Estimate $40,000 to $60,000. Lot 134: Faith Ringgold, Sleeping: Lover’s Quilt #2, acrylic on tie-dyed, printed & pieced fabrics, 1986. Estimate $100,000 to $150,000. Lot 5: Augusta Savage, Gamin, painted plaster, circa 1929. Estimate $20,000 to $30,000. Lot 35: Charles White, Caliban, charcoal, with crayon & wash, circa 1950. Estimate $150,000 to $250,000. Lot 30: Norman Lewis, Shapes, oil on masonite, 1947. Estimate $60,000 to $90,000. 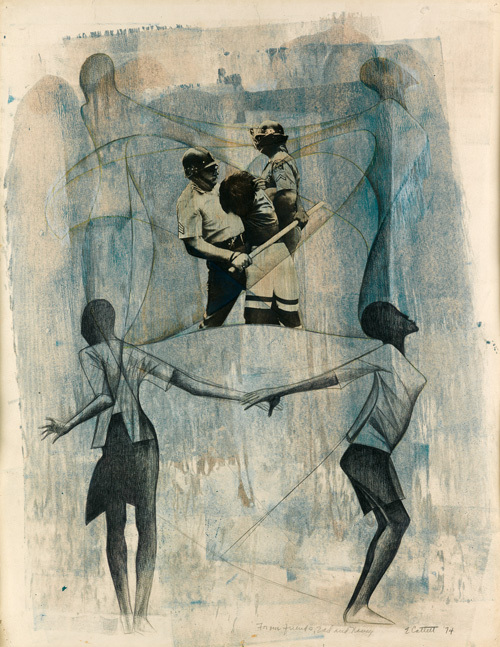 Lot 87: Romare Bearden, Early Morning, collage on masonite board, 1968-69. Estimate $80,000 to $120,000. Lot 105: Norman Lewis, Block Island, oil on canvas, 1973-75. Estimate $200,000 to $300,000. 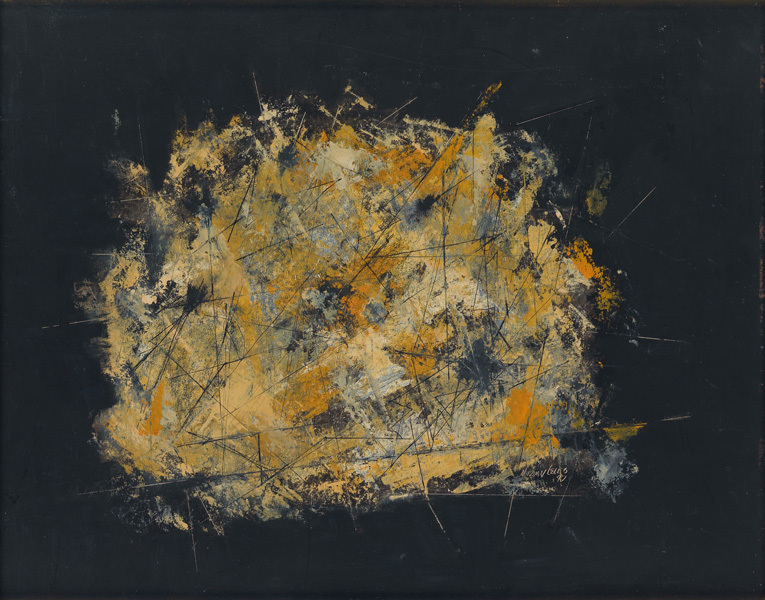 Lot 79: Hale Woodruff, Celestial Door, oil on canvas, circa 1967. Estimate $75,000 to $100,000. 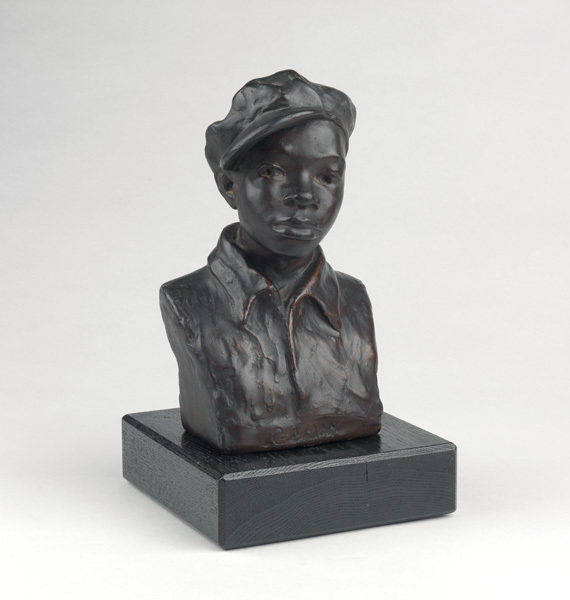 Lot 102: Elizabeth Catlett, Untitled (Civil Rights Protest), mixed media, 1974. Estimate $60,000 to $90,000.